In the past few years, a retro breeze has been blowing over men’s cosmetics. The return of the hipster beard allows barbers to make a strong comeback. 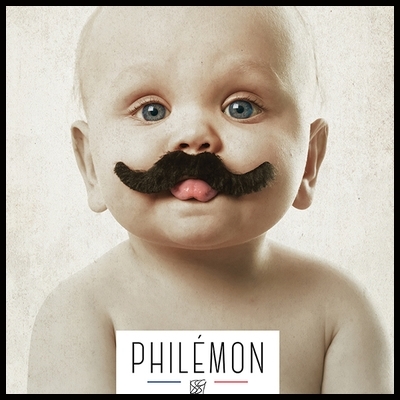 Philemon-1889, a young brand of cosmetics for men, is also playing on this “old school” wave by offering innovative skin care products for hairy or not epidermis. CosmeticOBS-The Observatoire des Cosmétiques met Jean-Luc Courtial, its founder. Portrait. “My name is Jean-Luc Courtial, I am in my sixties. I have been involved in entrepreneurship in the cosmetics sector for four years, including three years of marketing our cosmetics range,” explains the brand’s founder from the beginning of the interview. Initially, Jean-Luc spent 30 years of his life in the scientific universe of clinical biology, which is most of his professional career. For three decades, Jean-Luc Courtial has held marketing, technical and sales positions for major global leaders in in vitro diagnostics. As the years go by, more responsibilities accumulate. At the height of his career, Jean-Luc Courtial had about thirty people under his command. If for some, this journey is synonymous with success, the main person concerned begins to feel a certain weariness. “I’ve had a very successful career, it’s obvious. However, in recent times, I spent most of my time behind my computer talking about numbers. I had lost what animated me the most: human contact,” says Jean-Luc Courtial. A meeting with a young student at the end of his studies who was looking to create an e-commerce platform for the resale of cosmetics triggered this. The agreement between the two men is such that they decide to join forces and launch their own cosmetic brand. “It is certain that I have gone out of my comfort zone compared to my initial status. But when the opportunity presents itself, you have to know how to get out of the game and take risks. I decided to dare to change and start from scratch,” he explains. For him, it is not yet time to think about retirement! After deciding to collaborate and structure a brand, it is time for the two men to refine their project. They are conducting a market study that confirms that men’s cosmetics is a promising sector. They embark on this path with confidence. Aware of having a rather pragmatic approach to beauty, on a reasonable budget, they decided to develop a minimalist range that meets the needs of the greatest number of men. Problem, men are divided into two categories: bearded and closely shaved. Which side should we join? Which target should we turn to? Jean-Luc Courtial refuses to segment his products and prefers instead to focus on the development of a functional range, accessible to all men, whatever their style, bearded or not. *“The original idea is to offer a range of rational and ultra-quality treatments for all men, with a big”M“. We have formulated products that combine skin hydration and beard or moustache hair care. At a time when there is a plethora of very specific products, my partner and I wanted”all-in-one" products that would adapt to the style of these men, whatever their style, unlike other brands,“* he says. If the duo of partners intends to respond well to the problems of today’s men, it is in the past that they will draw the necessary inspiration to illustrate their brand. Three years after the release of his first bold and ambitious products, Jean-Luc Courtial continues to grow his brand. The only captain on board from now on, he wishes to expand his range and strengthen Philemon-1889’s presence on the shelves of perfumeries as well as on the export market, for which he is in great demand, Made In France obliges! His ambition is simple: to revive his grandfather’s spirit in the bathrooms of today’s men… and tomorrow’s men!